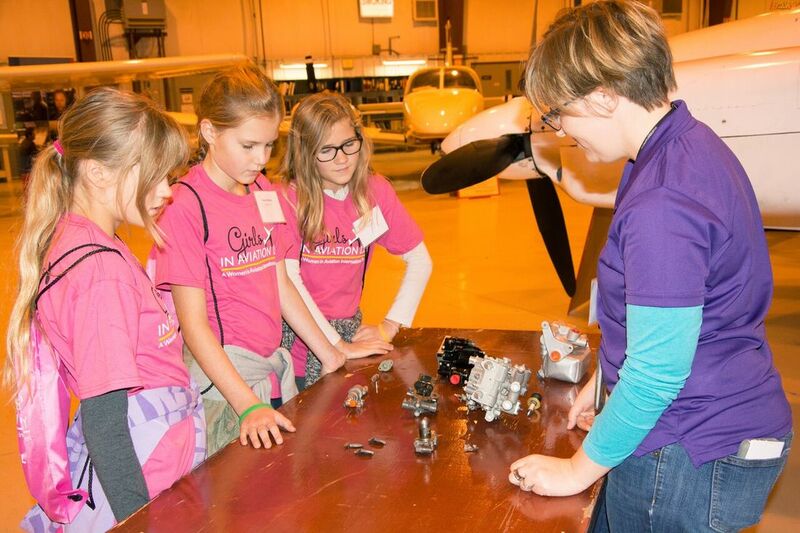 ​We are very excited to announce our 5th annual Girls in Aviation Day! 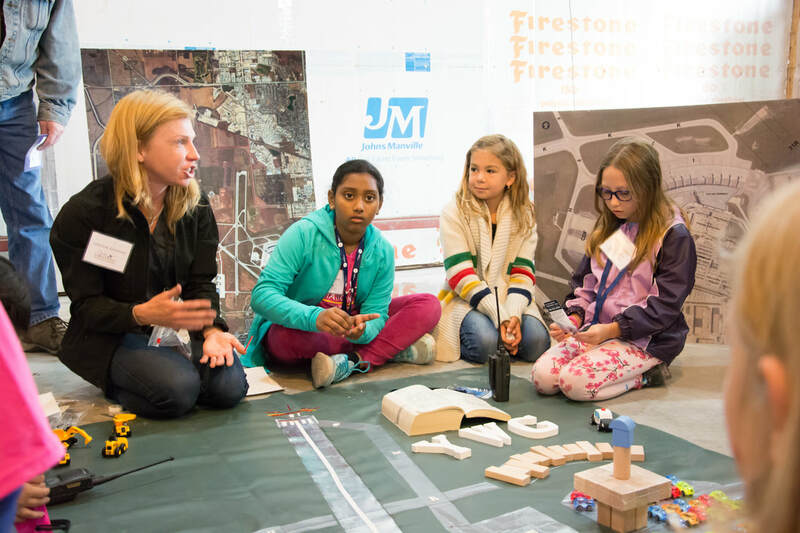 Designed for girls aged 8-17 we have another jam-packed morning with interactive activities. 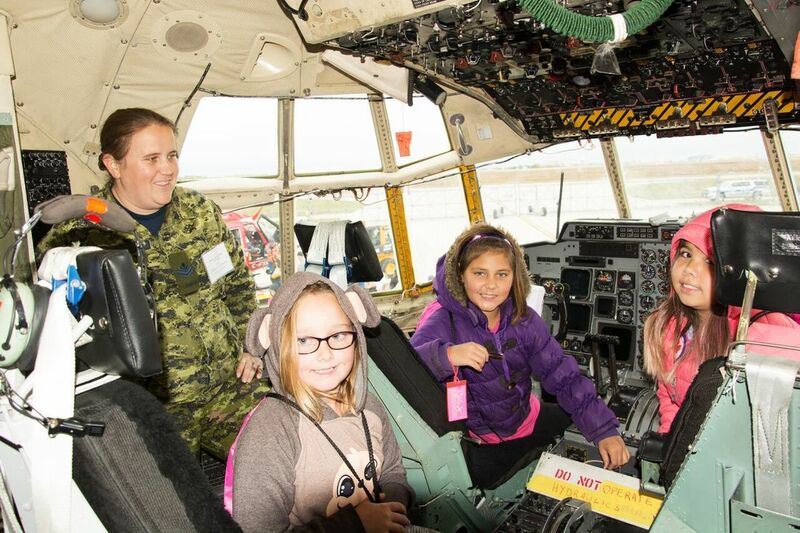 The girls will meet a pilot, flight attendant, air traffic controller, military airforce crew, maintenance engineer, aerospace engineer, an airport fire fighter and aeromedical attendant at each of our Career Stations. 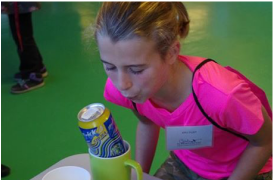 At each station the girls will have a hands-on activity and learn about their specific career. Check our Picture page for all of the amazing moments captured at GIAD18! Have you ever dreamed of being a flight attendant? Come and meet flight attendants who work for an international airline and hear about their exciting career! What makes an airplane go up and down? How does an airplane turn? Hop in a real airplane, put your hands on the controls and learn the principles of flight! You probably don't even realize that there's a whole team of people working together to make sure the airport is safe for your airplane to take off and land - find out how this team keeps our airport safe. Imagine what would happen to the hundreds of airplanes criss-crossing the sky if we didn't have air traffic controllers? Come and see how they keep all of this traffic organized. When an air force plane takes flight they take their whole team with them. See who comprises their entire support team and how they work as a unit. Have you ever heard of Bernoulli's Theorem? This is the scientific principle that explains how a 100 ton airplane can fly in the sky. Aeronautical engineers use principles like this in their work every day. Just like your family car, airplanes need regular maintenance to keep them working safely. Come see these lovely wrench monkeys and the important work they do. Air medical transport is a growing field. It involves a life-saving team of flight nurses, doctors and paramedics - think of it as a flying ambulance! Fire Fighters are an important part of the airport team. They are the first responders in the event of an emergency. All of their hoses are hooked up to the truck. Girl Guides WAI Aviation Girl Fun Patch! 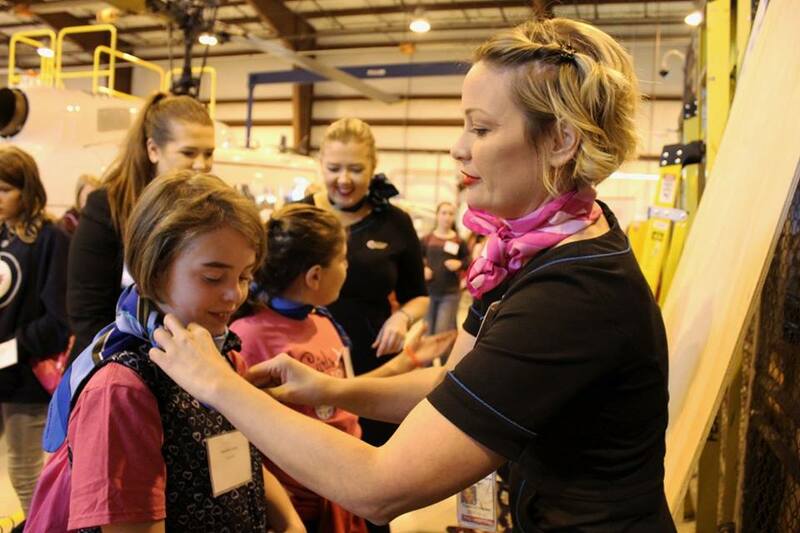 Women in Aviation International has created a Girl Guide fun patch to award to Girl Guides who take part in Girls in Aviation Day events. 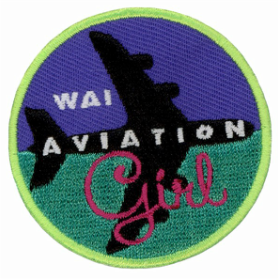 WAI’s Aviation Girl patch will be available exclusively through WAI chapters around the world to serve the World Association of Girl Guides and Girl Scouts. 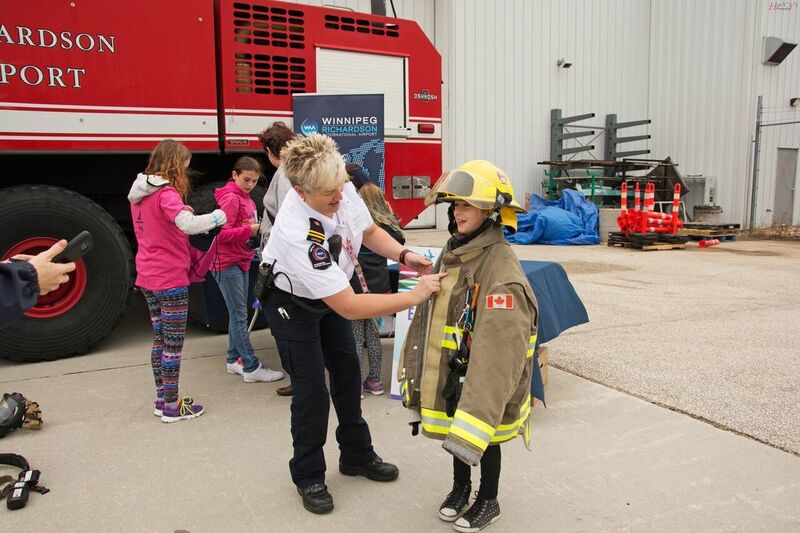 Girl Guides who participate in our Winnipeg Girls in Aviation Day event on October 13, 2018, will have the chance to earn the Aviation Girl patch. If you have any questions check out our Frequently Asked Questions page! Can't find your answer on the Frequently Asked Quetions page? 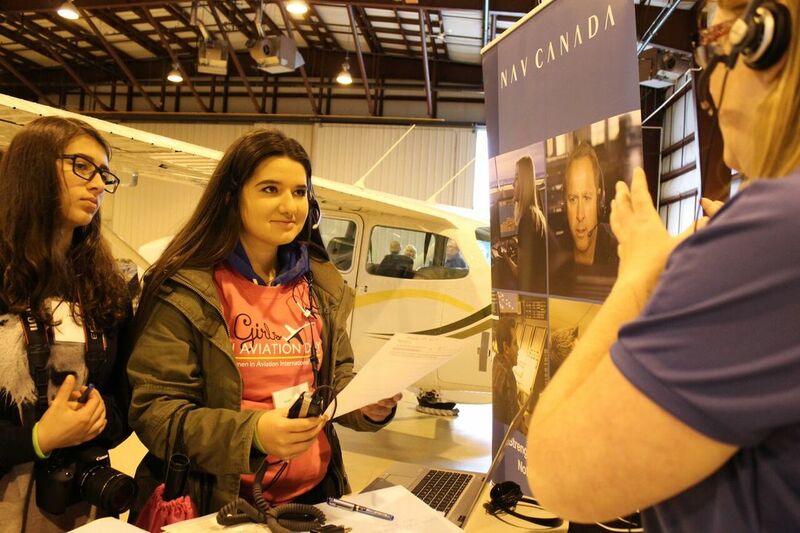 Send us your question about Girls in Aviation Day!